In all honesty, I didn't think I'd be writing another pregnancy related post whilst being pregnant and thought anything regarding pregnancy would be an arrival announcement and here I sit (April 2nd) on my sofa still feeling all uncomfortable and pregnant. I was 1cm dilated a couple of weeks ago and since then not much has changed, everything's pretty much the same and I'm still playing the waiting game. My consultant informed me at about 36 weeks that she thought I'd be having this baby sooner rather than later due to the head being low down and a thin and frail cervix, so I definitely didn't expect to make it to the 9 months mark. I've been having a mix of period type pains, backache and other types of achiness for the past two months and it was consistent for a few weeks where it was more on than off. I've definitely been losing bits of mucus and show over the past 3 weeks (TMI right?! But totally natural) but still no water. I've not been sleeping well over the past week and have the worst pain in my right leg and last night was just the worst - backache, feeling sick and having these shivery type of attacks. Although I'm grateful for being able to conceive naturally and being given the chance of motherhood again when some women are unable to I'm so over being pregnant. I'm struggling to get out the house and walking anywhere is a battle of pains, aches and wondering when I'll need to rush off to the toilet. I'm such an active person and love the great outdoors, plus it's now the Easter holiday's for 2 weeks and I'm going to struggle to keep up with the 2 children I have, one of which is Autistic and very dependent on myself. I was hoping the two weeks would be filled with day's out and trips to the park, but the fact I've now reached the 9-month mark makes even leaving the house by myself or with 2 younger one's very risky. It felt like my pregnancy was the fastest pregnancy ever but the past month and half to two months have been so long and I just feel so ready to meet my little girl now. I think half the problem with struggling is the weight gain and I've only put on a little over 2 stone but I'm definitely feeling it and the heaviness of baby. Sorry for being all moany but I'm definitely ready, so bring it on!! 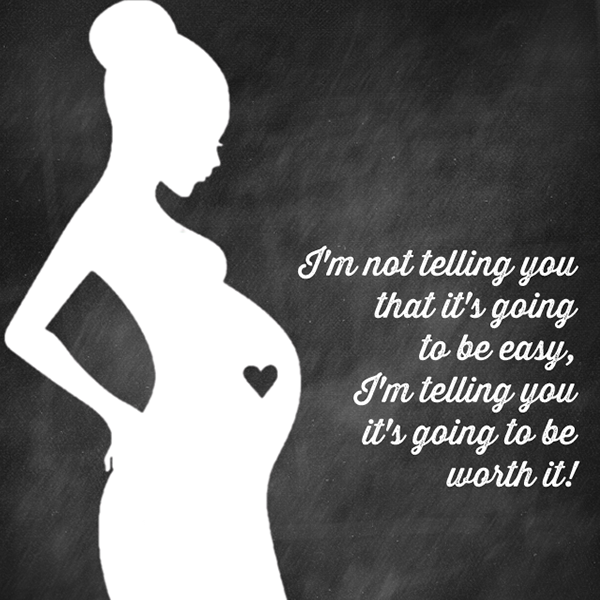 I know it'll be all worth it in the end. I'm booked in on the 12th for a sweep and if that doesn't work then I'm sure I'll be induced the following week, which just happens to be the week the Ed Sheeran concert falls on and something I certainly don't want to miss out on because it was a ballache trying to get those tickets and I feel I've waited for this Ed Sheeran moment for so long. Saying that the most important thing is the arrival of daughter number 2, so fingers crossed I go into labour before the 12th and there's not much more of a wait. Please cross your fingers and toes. Depending on how thing's go with giving birth, etc, my posts on A British Sparkle probably won't be as consistent as they usually are, so please bear with me, more so with it being Easter and my two little munchkins being off. I hope you all have a lovely weekend. It looks like a lovely day and I hope it's lovely where ever you are too.